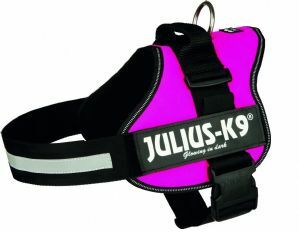 Julius K9 PowerHarness in Dark Pink (fuschia) A strong quality harness. 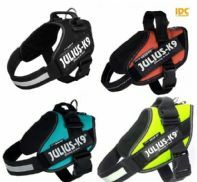 Quick fit over the dogs head and just one buckle to clip makes this a secure harness for your dog. 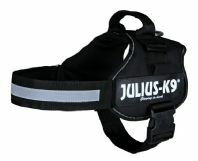 Originally used by dog handlers, Search & rescue, police, fire and sniffer dog teams, but now very popular with everyday dogs. Julius K9 Classic Powerharness - Dark Pink, you have the ability to interchange the velcro side labels, add side packs and other dog accessories.